Record Reproduction Solutions is the leader in litigation support services - including record procurement, subpoena service, record copy service, x-ray duplication, onsite document scanning and electronic document storage. Their clients consist of law firms, insurance companies and medical facilities. RRS is located outside of Philadelphia in Media, PA.
RRS was tracking client documents using an in-house Microsoft Access application. As the data storage requirements grew, they started to run into issues related to data table size. And the instance of the application was having performance issues in the multi-user environment. The Access application was not scaling as their business grew. RRS started working with Vega in 2006. The first task was to design a robust database that could handle scanning, tracking and processing medical documents for RRS clients. The database would be available to multiple desktop and web applications. Microsoft SQL Server was the obvious choice. 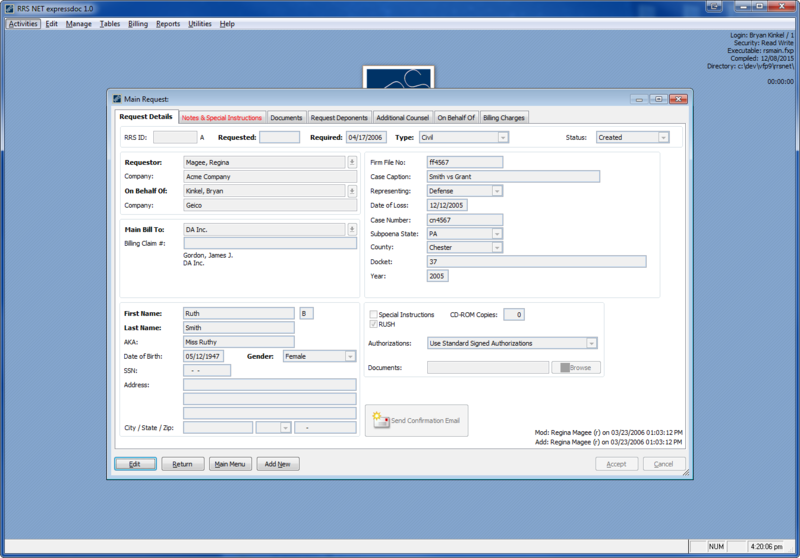 Visual FoxPro 9.0 was chosen to build the back-end desktop application used by RRS staff. 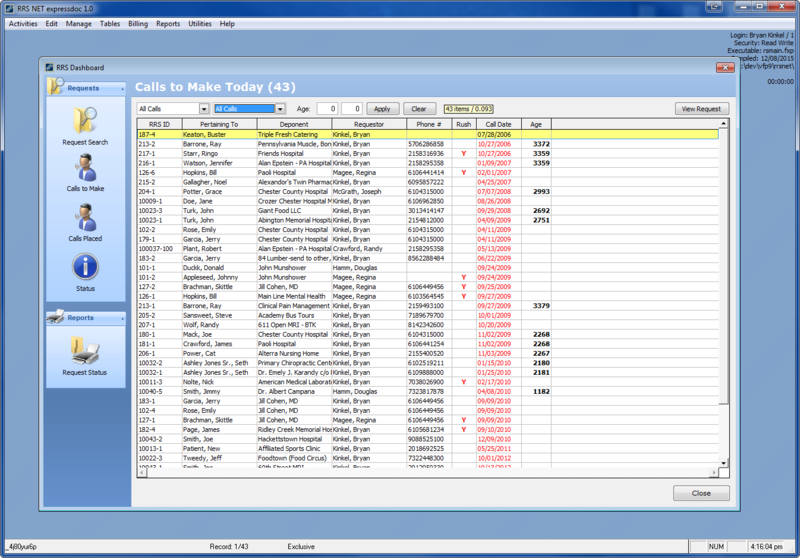 Visual FoxPro was chosen based on its strong integration with SQL Server, form design tools and reporting capabilities. 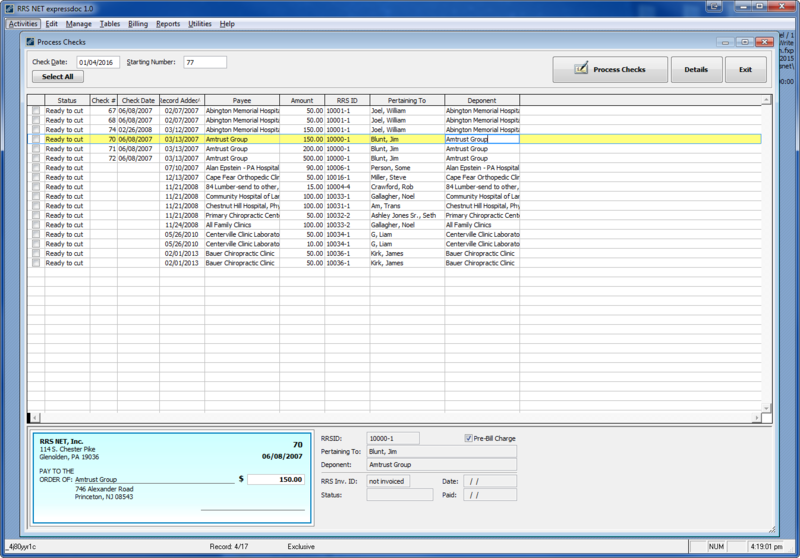 The application is a sizable piece of development with over 80 screens and 25 reports. 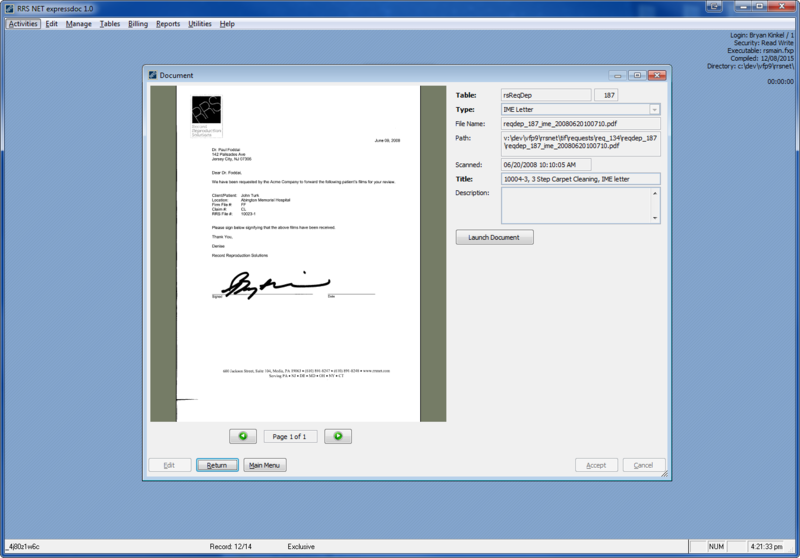 It integrates with USB scanners and generates legal documents through OLE Automation with Microsoft Word. 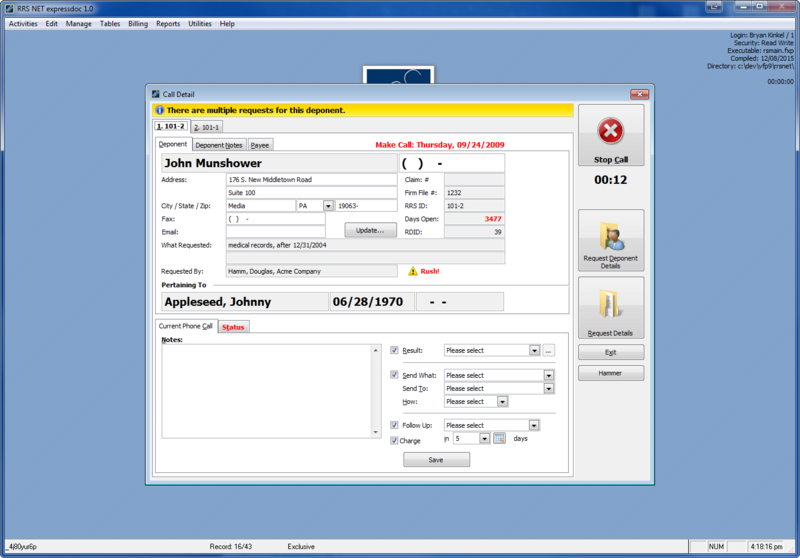 The application is a critical piece of software that automates almost every RRS business process including document processing, customer management, product delivery, call center services, reporting and employee performance metrics.